There have been many great parents in TV comedy history, from Ozzie and Harriet to June and Ward Cleaver, to Mr. and Mrs. C, right on up to Frank and Marie Barone and Phil and Claire Dunphy. but it is not these so-called full-time parents we are here to talk about today. No sirree. We are here to take a look at those guest starring parental units. Becoming a big thing after shows like Roseanne (and later Seinfeld and Friends) started bringing in big name guest stars to play their sitcom parents, there are many a great parent guest starring on American situation comedies these days. Now just to go over the rules here, this is about the guest star mom or dad. In other words, someone like Doris Roberts on Everybody Loves Raymond would not be eligible, due to being a member of the regular cast of the show, but someone like Elliott Gould, as Monica and Ross' dad on Friends, since he was only in a handful of episodes, is very much eligible. Mr. Gould doesn't actually make the list, but you get the idea. As I compiled this list, there were inevitably some worthy parents left on the so-called cutting room floor. Some of these are Elaine Stritch as Jack's mama-from-hell on 30 Rock, grand thespian Maurice Evans as Sam's warlock daddy on Bewitched, Morgan Fairchild as Chandler's slutty mom on Friends, Barney Martin and Liz Sheridan as Jerry's parents on Seinfeld, Marlo Thomas as Rachel's high society mom on Friends, Shelly Long as Mitchell and Claire's estranged mother on Modern Family, and Earle Hyman and Clarice Taylor as the Huxtables on The Cosby Show. Something else I noticed, this time after completing the list, is that moms are better than dads, with the proof being that almost every entry on the list is a mother. Anyway, enough of this, we have a list to countdown. 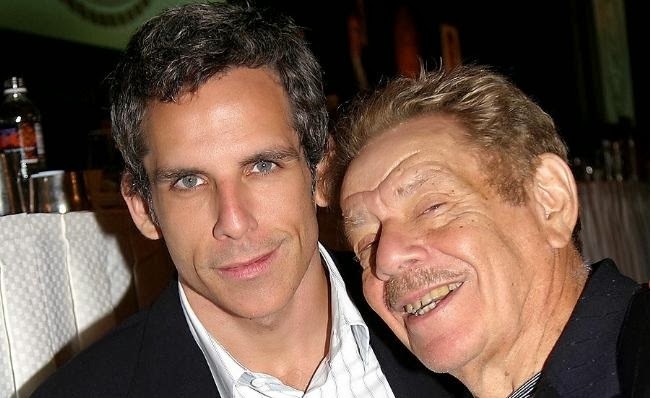 In a great feat of meta-storytelling, Ben Stiller was cast to play the father of the character played by his real life dad, Jerry. Granted, the scenes are done in flashback, but it's still fun to see Ben play his own dad's dad, and this is why he makes the list, well sort of makes the list at least. 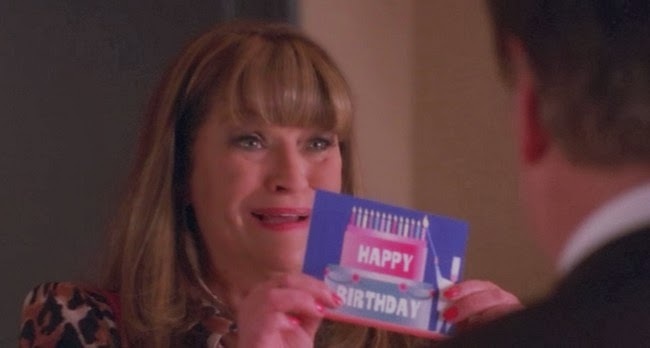 One of about a thousand SNL alum that have guest starred on the show, Jan Hooks portrayal of Jenna's back-stabbing, money-hungry, con artist, white trash mother is one of the many highlights of a show already filled with pretty much nothing but highlights. As Jackie, Metcalf was one of the best things about Roseanne, and now she has moved onto another show, again starring with Roseanne-ite Johnny Galecki, but it is Jim Parsons' ultra-persnickety Sheldon to whom she plays smothering, bible thumping mother hen. And she's still just as hilarious. This is the only show on this list that can be rightfully called a classic. 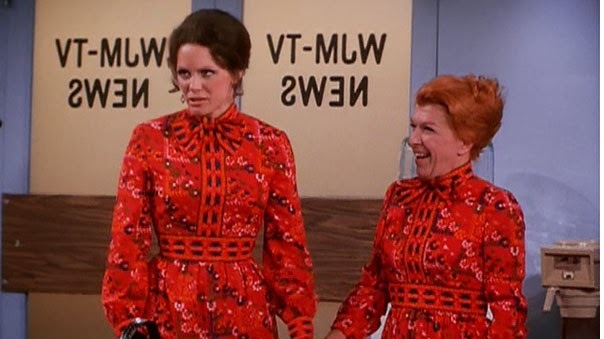 Nancy Walker as Rhoda's over-bearing mother (a role for which she would eventually become a regular on the spinoff, and get nominated for four Emmys) was one of the best mothers on TV, but also one of the best characters in sit-com history. Just in case you did not think Cliff Claven was annoying enough as the know-it-all Boston postal carrier on Cheers, here comes the mother load - his even more know-it-all mother. Deep down she was a sweet, loving woman and mother, but boy was she ever an annoying know-it-all. 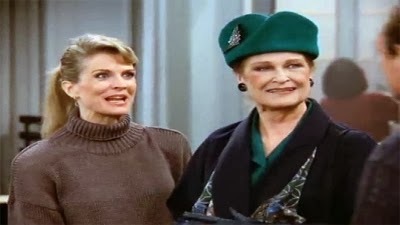 One of the smartest and classiest shows of it's time, it is only right to have one of the smartest and classiest ladies guest star as the mother of it's leading lady. As Murphy's ever-perfect mother, Dewhurst was pitch perfect. When the actress died, they honoured her by naming Murphy's child after her. 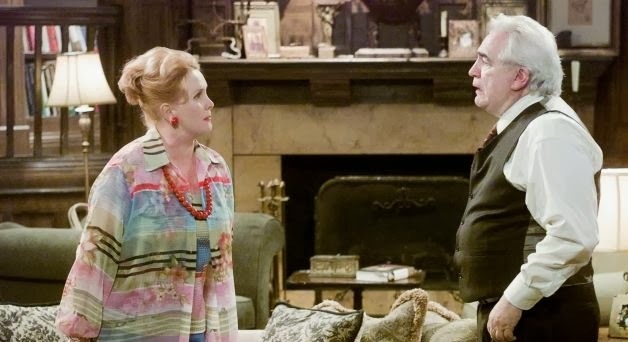 As Daphne's batshitcrazy mother on Frasier, Miss Martin (who was in the 1966 film Alfie as one of Michael Caine's 'birds') does a wonderful job as the sparring partner of her daughter and the other characters, and even when sparring with her estranged hubby played by Brian Cox (above) in a few episodes. How many actual Oscar winners are on this list? 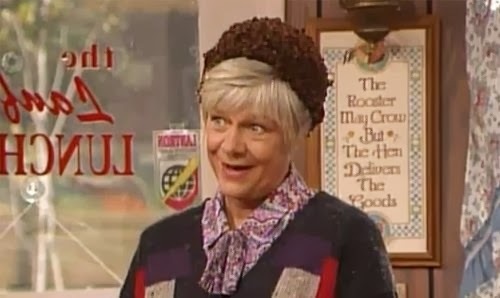 Just one, and that one (as if ya haven't already guessed) is Miss Estelle Parsons. The Bonnie and Clyde award winner is downright heeelarious as Roseanne and Jackie's frantic mother on the hit 1980's/90's sit-com. 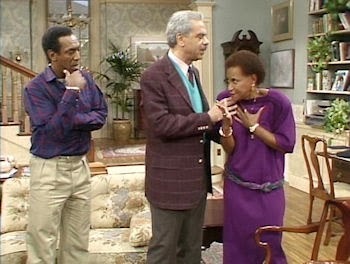 These two actors are so good as George Costanza's parents, I had to put both of them on the list. 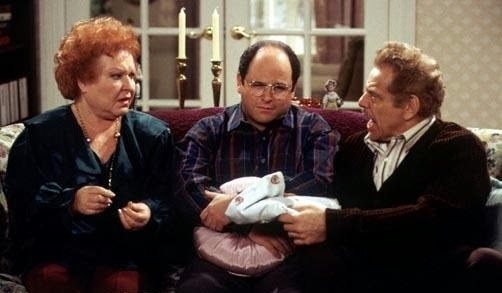 Two iconic characters on an even more iconic show, the Costanzas are not only the worst of parents, but also just the parents that a character such as George Costanza deserves. And hey, we have Frank to thank for Festivus. Playing as over-the-top as she wants, long time gay icon Debbie Reynolds was the perfect person to play Grace's overwhelming, over-bearing, over-indulgent mother on the first major gay sitcom on TV. Just the fact that her Bobbi usually makes her entrance with a quick song and dance number makes it even better. 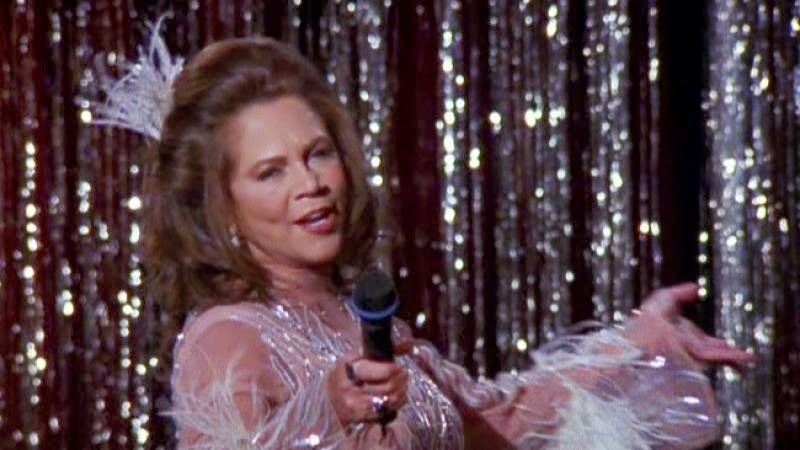 Hell, you could make an entire top ten list with the parents from Friends alone, but the best guest of the long-running NBC sitcom, the one that comes out on top, though appearing in just three episodes, is Kathleen Turner as Chandler's drag queen father. I wonder how they approached the actress with such a part? Hey, thanx for stopping by Gossip Girl. I am always up for some comments. It gets kinda lonely around here sometimes. Glad ya liked the post. If you look around you will find other top tens as well - all with my usual snarky slant. Again, thanx for stopping by. See ya 'round the web. Which Film SHOULD Win the Best Picture Oscar?